What seems like a million years ago I was working in Lexington, Kentucky at the county board of education's gifted and talented department, filling in for a teacher friend, Marcia, who was home-bound after foot surgery. For six weeks I sat at Marcia's desk, working, but sometimes stealing a few minutes during lunch to write. Back then I had dreams of being a writer, although I didn't talk about it with many people. Something funny, one day at work I opened the newspaper and found Marcia's photo on the front page under the headline: Marcia Thornton Jones: Kentucky's Best Selling Author. Turns out my teacher-friend was the co-author of the best selling Bailey School Kid series. To say I was stunned is putting it mildly. My daughter was a huge fan, and suddenly, sitting at this woman's desk felt like serendipity. Could Marcia point me in the right direction on my own writing path? Longer answer: Marcia's been a good friend and mentor ever since. 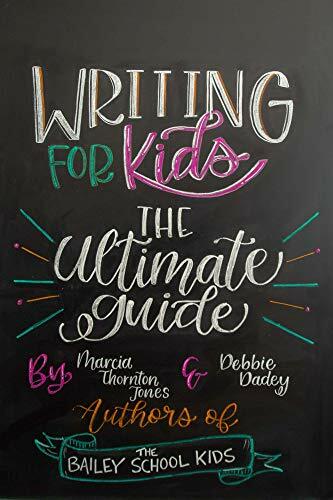 A new book on writing for kids, called appropriately enough Writing for Kids: the Ultimate Guide, by Marcia and her long-time writing partner Debbie Dadey. The book is available now and because Marcia is darling, she's agreed to let me interview her today! Jody: What inspired you and Debbie to write this book? Marcia: When Debbie and I started writing, we were clueless. We knew we wanted to write, and we knew we had stories to tell, but we had no idea how to successfully put those ideas on the page and get them published. We really wished we had someone who could help us; someone to guide us. Mentors who could show us the way. Jody: Especially all of the rejections. Twenty years-- yikes!-- since my first rejection and it never gets easier. Marcia: So true. And this is another benefit of having a writing partner, you figure out how to get past those rejections together, which Debbie and I did, and we kept going, learning how to navigate the writing and publishing world, meeting others along the way who were as clueless as we were. When Writers Digest Books approached us about writing the first book in a planned series for children’s book writers, we realized it was an opportunity to give back to the writing community. That book, Story Sparkers, was intended to be the first book in a series, and our mission was to write about generating ideas for kids’ books. Since drafting Story Sparkers, I’ve been teaching writing as well and coordinating the Carnegie Center Author Academy in Lexington, Kentucky. I start the first session of my classes asking students what they want to know…what they need to learn in order to realize their goals as writers. Then I develop lessons with focused writing prompts based on their needs. When the Writer’s Digest series didn’t pan out thanks to a change in editorial staffing, Debbie and I decided it was our opportunity to build off Story Sparkers, by writing a book that included all facets of the writing process, from generating ideas to marketing your finished book. Marcia: Exactly. It's the book we wished we had when we were starting out together. Jody: I love that you and Debbie worked on this book together-- and that you've written over one hundred!? books together. I'd love to hear more about how that partnership came about. Marcia: Debbie and I started writing together when we both worked at an elementary school in Lexington. We wanted to write the kinds of books that resonated with students. When we first started working together, we sat side-by-side at the computer and typed the stories as we spoke them. After Debbie moved from Lexington, we developed a system where we took turns writing chapters based on a rough outline. Jody: Did you have a similar process working on Writing for Kids:The Ultimate Guide? Marcia: Not quite. We knew we had a beginning, thanks to the work we did for Story Sparkers. From that, we developed an outline based on the elements of the writing process. Within that framework, we wrote with the intention of providing information and concrete tools that help writers develop ideas, draft their stories, hone their craft, and navigate the publishing world. 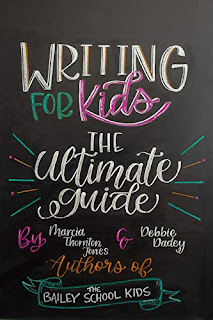 All those years of developing lessons and writing prompts focused on the specific needs of students in my classes at the Carnegie Center became an integral part of Writing for Kids: The Ultimate Guide! Since we wanted to make this affordable, we decided to self-publish it. Debbie took on the task of formatting it, but we did seek help from an agent as well. 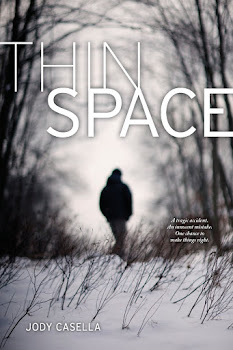 Jody: Give me a teaser... Say I am a beginning writer or someone further along in the process who's not quite sure how to break into the publishing world. Why should I want to read your guide? Marcia: I have a personal motto: Give people TIME. TIME stands for Teach, Inspire, Motivate, and Empower. That’s exactly what Writing for Kids: The Ultimate Guide does. It teaches information and skills writers need to know about writing kids’ books. It inspires and motivates writers to write—and keep writing. And it empowers writers to achieve their goals of writing for kids. Jody: Okay, you've got me. I am not a beginner but one thing I've learned over the years about writing is I always have more to learn. I downloaded the book last night and am eagerly dipping in! Writing for Kids: The Ultimate Guide to buy on Amazon. Marcia Thornton Jones has traditionally published more than 130 books for children with sales totaling more than 43 million copies world-wide. Her works include Woodford Brave, Champ, Ratfink, Godzilla Ate My Homework, The Tale of Jack Frost, and Leprechaun on the Loose. She is the co-author of seven popular series: The Adventures of the Bailey School Kids, Keyholders, Ghostville Elementary, The Bailey School Kids Jr. Chapter Books, Triplet Trouble, Bailey City Monsters, and The Barkley School for Dogs. 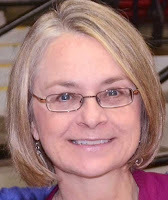 Marcia and her books have received many awards and honors including the Elementary Library Book Award (ELBA), Minnesota Maud Hart Lovelace Book Award, Milner Award, the Humane Society of the United States KIND Children's Honor Book, and International Reading Associations Children’s Choice Award. She was also honored as a nominee for the Surrey Schools' Book of the Year and Kentucky Bluegrass Awards. She was listed as a top 100 author by the Educational Paperback Association, selected for the Children’s Top 100 Books list by the National Education Association, and the Publisher's Weekly Bestsellers list. 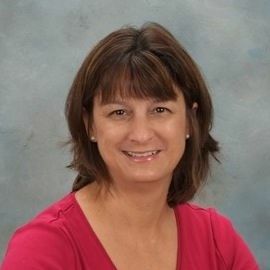 Marcia, lives in Lexington, Kentucky where she is the Coordinator of the Carnegie Center Author Academy, an intensive nine-month writing certificate program. She also teaches Carnegie Center writing classes, seminars, and is a writing mentor. She enjoys presenting at schools and conferences. As a veteran teacher with more than 20 years of experience, she easily relates the importance of writing to students of all ages. For information about Marcia’s classes, mentoring, and the Carnegie Center Author Academy, please visit The Carnegie Center or connect with her on Facebook and LinkedIn. Debbie Dadey has traditionally published 166 books for children with sales totaling more than 43 million copies world-wide. She is the co-author of seven popular series: The Adventures of the Bailey School Kids, Keyholders, Ghostville Elementary, The Bailey School Kids Jr. Chapter Books, Triplet Trouble, Bailey City Monsters, and The Barkley School for Dogs. Some of her individual series include the Mermaid Tales and the Swamp Monster in Third Grade. She also co-authored the Slime Wars series with her son Nathan. Her works also include Cherokee Sister, Whistler's Hollow, King of the Kooties, The Worst Name in the Third Grade, Shooting Star, and Will Rogers, Larger Than Life. 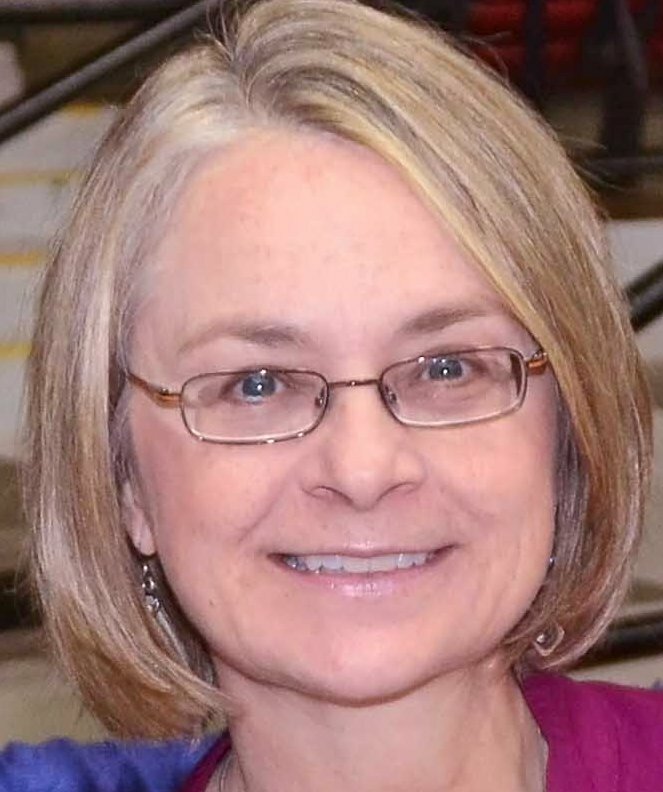 Debbie and her books have received awards and honors, including the Colorado Author’s League Children’s Fiction Award, Golden Reader Author Award, Elementary Library Book Award (ELBA), Milner Award, Kentucky Bluegrass Award nominee, and several International Reading Association’s Children’s Choice Awards. She was listed as a top 100 author by the Educational Paperback Association, selected for the Children’s Top 100 Books list by the National Education Association, and ranked in the Publisher's Weekly Bestsellers list. She is an Author for Earth Day. Debbie is a former teacher and librarian who enjoys visiting schools and speaking at conferences. With three children, two dogs, and one husband she has plenty of fodder for new stories, but loves doing research for even more inspiration. She lives in a cabin in the Smoky Mountains of Tennessee. Please visit her at www.debbiedadey.com, on Facebook and on Twitter. They're eager to get started, game for anything I suggest. Make up a character? They're in. Chart out story arcs with marker on poster-board? No problem. Write the first scene? Let's do it. I don't know why I am surprised. Kids are like this when it comes to writing. And these fourth and fifth graders in the writing program I've been teaching for the past few weeks, are particularly smart and creative. Open to trying new methods, happy to use pen or pencil on paper or whatever I give them. Although, one girl has brought her laptop and another tells me she writes all of her novels on her phone. Only a couple of the kids are stuck, asking me to clarify the directions, stumped for a moment about how to start, but with just a little push, off they go. Most are eager to share what they've written, read aloud their scenes and display their plot plans. One surprise: the majority of their stories are dark. Evil government conspiracies and dead parents. Kidnappings. Murder. It's all presented matter-of-factly, though, and I try not to bat an eye. Hmm, okay, so in Act Two the main character finds the dead body? All-righty-then. Let's write that scene. Who am I to judge the mind of a nine year old? They're the ones finding joy in this exercise. Contrast this with adult writers. Contrast this with, um, me, daily on the phone with my critique partner whining about how hard it is to sit down and get to work. If you want to be a writer, you write. Take out a piece of paper or open a file on your computer (or phone?) and go. Friday I drove with my writing friend Natalie down to Marietta, Ohio to watch her cousin Andi get surprise-proposed to. I had never watched anyone get surprise-proposed to before, and I was curious. The proposal was going to take place in a bar during a live band performance. The cousin's long time girlfriend is a bass player in the band, and the plan was that at some point during the show, she'd step down from the stage and ask Andi to marry her. I like Andi. She's a photographer and the last time I saw her, she let me play dress up in her Hot Tomato studio. Her specialty is boudoir photography and she's known for making all women feel welcome and beautiful. I don't think she advertises much, but word has gotten around, and she has a huge group of loyal clients and friends who flock to Marietta just to hang out with her. It was a long drive down there. Natalie and I did what we do a lot lately when we get together. Lamented about the horrifying state of the world. When that got too depressing I told her about the plot of the book I'd just finished reading. 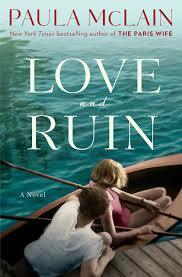 Love and Ruin by Paula McLain. It's about the relationship between Ernest Hemingway and his third wife Martha Gellhorn. She was a novelist and war correspondent who covered basically every foreign war from the Spanish Civil War in the 1930's to the US invasion of Panama in 1979. But annoyingly for Martha Gellhorn, she's mainly just known for being Ernest Hemingway's third wife. For a few years they had an intense bond, writing side by side and traveling to war zones together, hanging out in Cuba and throwing back drinks with friends. They talked and argued a lot about writing and what the point of it all was. How could you spend time playing around with a story while the world outside was going to ruin? Was it fair to hole up in your house in Cuba when so many other people were suffering? That's another thing Natalie and I do a lot. Talk and argue about writing and wonder what the point of it all is. Is it okay to care so much about our made-up worlds when the real world is such a mess? The bar in Marietta was crowded with fans of the band and friends and family of Andi. She was happily clueless about what was going to happen, walking around taking photos, not noticing how many people were grinning and taking photos of her. I was getting excited and nervous for her. Also, I was tired, sipping my drink and trying not to think about the fact that it was close to 11 o'clock and Natalie and I still had a two hour drive home and I'm the frumpy old lady who usually goes to bed by ten. But the band was great, kind of Mumford & Sons-y and obviously a huge favorite in Marietta. The crowd was singing and clapping along. Girls were dancing with each other. Some of them were dressed up as if they'd just stepped out of the Hot Tomatoes studio. I had a momentary thought about the world outside. Stories I'd read in the newspaper about children held in for-profit detention centers who are forbidden from hugging their siblings, another mass shooting, the latest dire report on global climate change, the president's scary rambling speech and the cheers of his followers. But I let that go for the moment when the bass player stepped down from the stage and surprise-proposed to Andi. Martha told Ernest that the point of it all was to go where stories are happening, to talk to people, to bear witness to their experience, to tell the truth. Andi, of course, said yes.